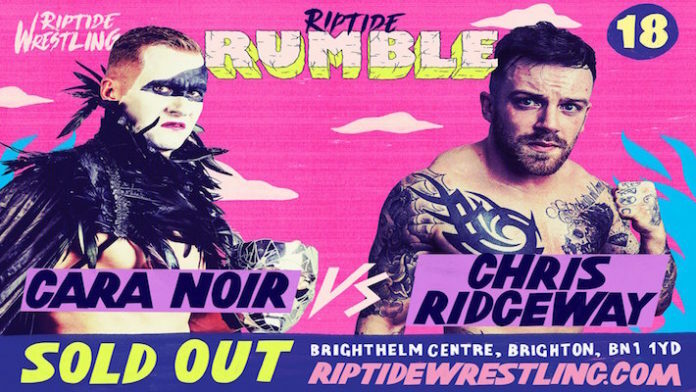 RIPTIDE Wrestling has announced the next bout for their upcoming ‘RIPTIDE Rumble.’ The show will be taking place on April 12th from the Brighthelm Centre in Brighton, England. Cara Noir will be taking on Chris Ridgeway on the night. Noir is one of the most refined character performers on the UK scene today. Having shed his previous persona he now appears as a ‘black swan’ styled character with a mysterious aura. Chris Ridgeway is one of the toughest practitioners of ‘strong style’ in the UK currently. Already announced for the event are Chuck Mambo vs TK Cooper plus Jimmy Havoc and Jinny vs Paul Robinson and Chakara. Mambo vs Cooper will be contested for Chuck’s Brighton Championship. Chuck Mambo won the belt at the inaugural Brighton Championship tournament. Next articleWWE Raw Preview (3/25/19): Will Roman Reigns Accept Drew McIntyre’s Challenge?